Home ♦ Competitions ♦ Win a Sheaffer 300 pen set with The Pen Company! As it is the month of love, we thought now was a good time to spread that love and host a February giveaway. Perhaps you could keep the prize as a treat for yourself, or you might choose to gift it to a lucky loved one in the spirit of St. Valentine! We have some very exciting prizes up for grabs in this competition, and we have seven items in total to give away! Three lucky winners will receive a sleek Sheaffer 300 set each, which includes a fountain pen and a ballpoint pen (RRP £70.00). 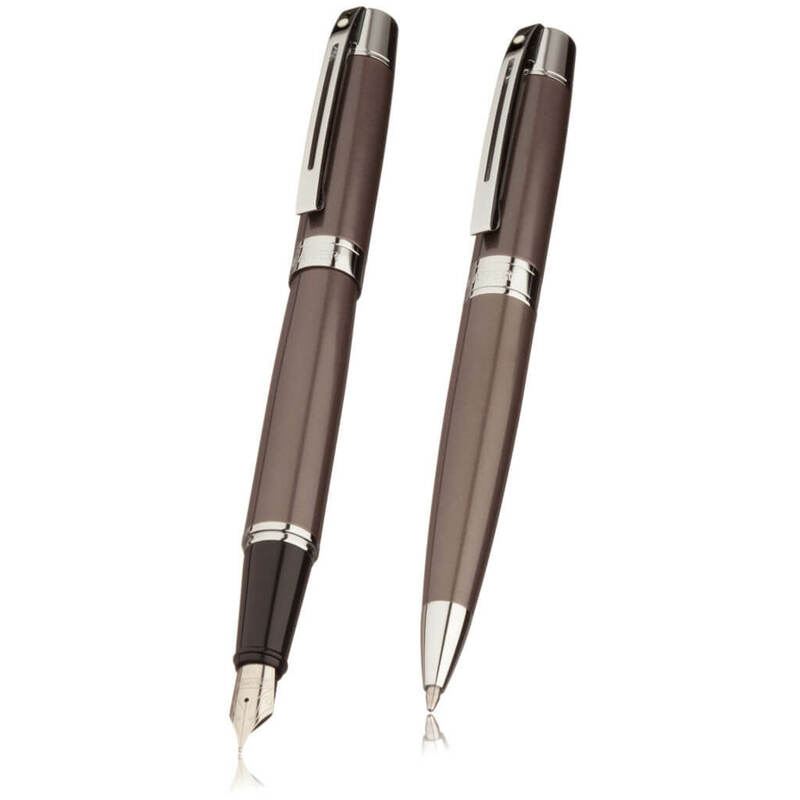 These pens are modern and weighty; a clean, well-balanced design with a glossy finish and the signature white dot. Four runners-up will receive a curvy Faber-Castell Loom rollerball pen each in Piano Black (RRP £32.00). 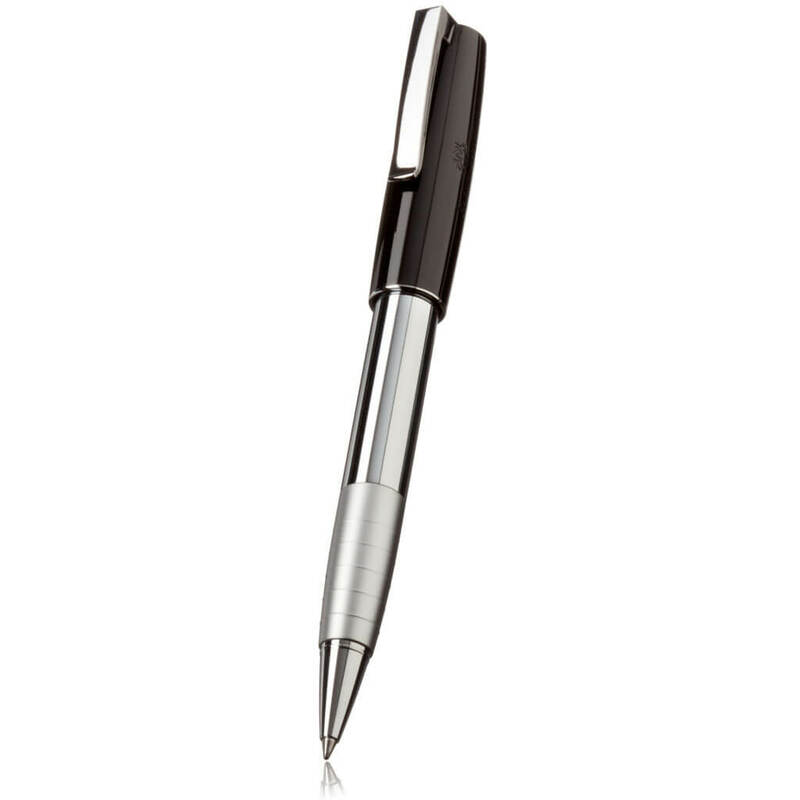 This subtly curved and sophisticated German rollerball features a sturdy metal barrel and a high-gloss lacquered cap. Which would you like to win? Entry to this competition couldn’t be simpler! Just complete one or more tasks in the Rafflecopter widget below. The more tasks you complete, the more chances you have of winning. Some tasks can be completed daily, so you can enter many times if you wish. The competition will run from 12am GMT on 2nd February 2017 until 12am GMT on 23rd February 2017. Entries made after this time period won’t be counted. The winners will be selected at random by Rafflecopter, and will be contacted within one week of the competition end. If one or all of the winners does not respond within 14 days of being contacted by us, the prize will be forfeited and we will draw a new (or several new) winners via Rafflecopter. This competition is open to stationery fans in the UK only. The Pen Company reserves the right to publish the winners’ names on our website, and in any media regarding this competition. Faber-Castell Grip & Sheaffer VFM Prize Draw – Day 2. Win a Caran d’Ache 849 Ballpoint Pen every day of #NatStatWeek 2017!